Welcome to the Bexley Bed and Breakfast, the first and only bed and breakfast in Bexley, Ohio. Newly remodeled in a contemporary design, this is where “modern meets comfort.” We are humbled and proud of the overwhelmingly positive reviews on TripAdvisor and BedandBreakfast.com. 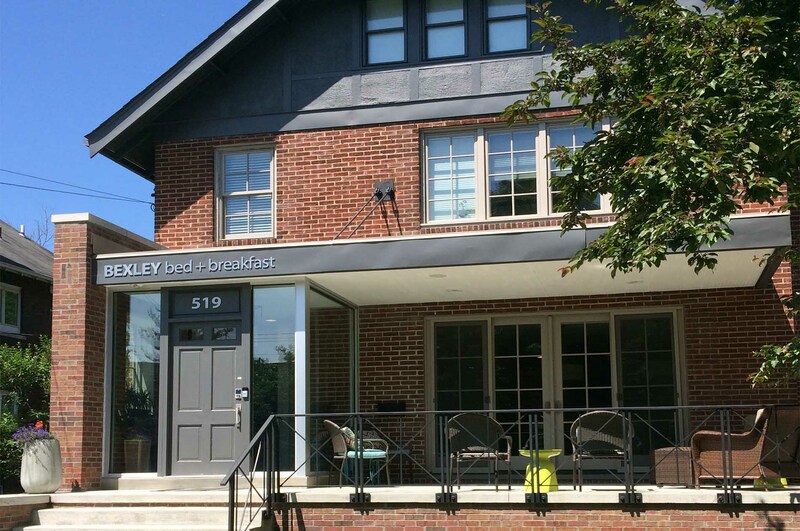 Centrally located in the charming downtown area of Bexley and convenient to downtown Columbus, our five guest room lodging is less than one block from the main entrance of Capital University. Restaurants, ice cream shops, salons, boutiques, a bike trail, churches, synagogues, Gramercy Books, and the historic Drexel Theater are all just a pleasant walk away. 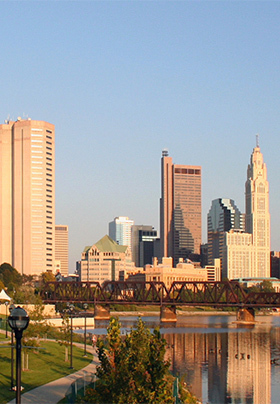 It’s a short 10 to 15 minute drive to the Columbus airport (CMH), downtown Columbus, the Columbus Convention Center, Short North District, Arena District, OSU, and German Village. Many exciting central Ohio attractions and events are also nearby. Half of “bed and breakfast” is about the bed. Each guest room is decorated in a soft, contemporary style with a unique metropolitan theme. Stay with us and fall asleep with a vision of New York, San Francisco, Miami, Chicago, or Columbus! All rooms enjoy well-appointed linens, a queen-size bed, both firm and soft pillows, a desk and chair, a wall-mounted LCD television, Wi-Fi, and electronic keyless entry (keyed entry available upon request). 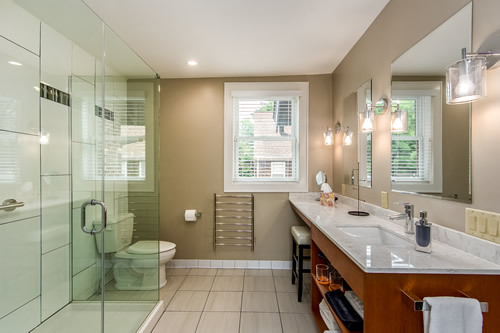 Each attached, private bathroom is roomy and luxurious with heated floors, heated towel racks, and a large walk-in glass shower with both wall-mounted and rainfall shower heads. Now about breakfast – tasty, healthy, and Continental style. Join us by the fireplace in the gathering room for French press coffee, tea, and juices. Indulge in fresh-baked sweet and savory breakfast goods, cereal, and seasonal fruit. And we didn’t forget about the protein! Hard-boiled eggs, yogurt, and cheese are always available. If you have dietary restrictions, please give us advance notice. We will make every possible effort to see that your needs are met. Afternoon snacks (Skinny Pop, pretzels, and chips) are available in the gathering room. Help yourself to drinks from the refrigerator or make yourself a cup of hot tea using the instant hot water faucet. Check-in is easy and convenient. During regular check-in hours, we will personally welcome you to our bed and breakfast. After hours, self-check-in is available. Please arrange for this prior to your planned arrival. On-site parking is just behind the house.